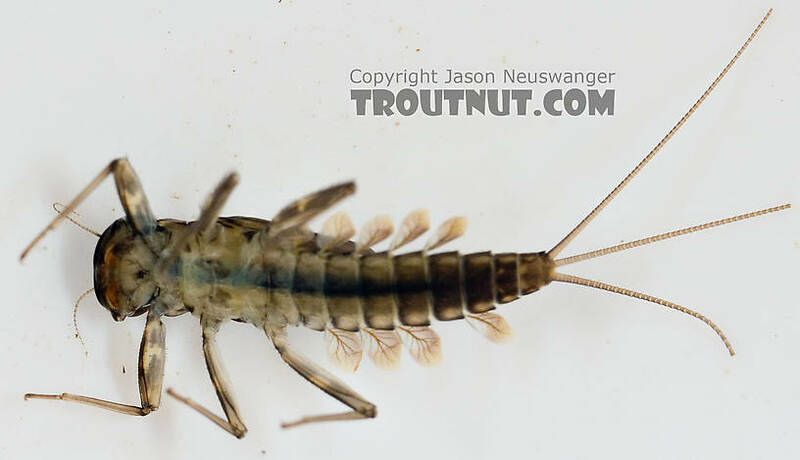 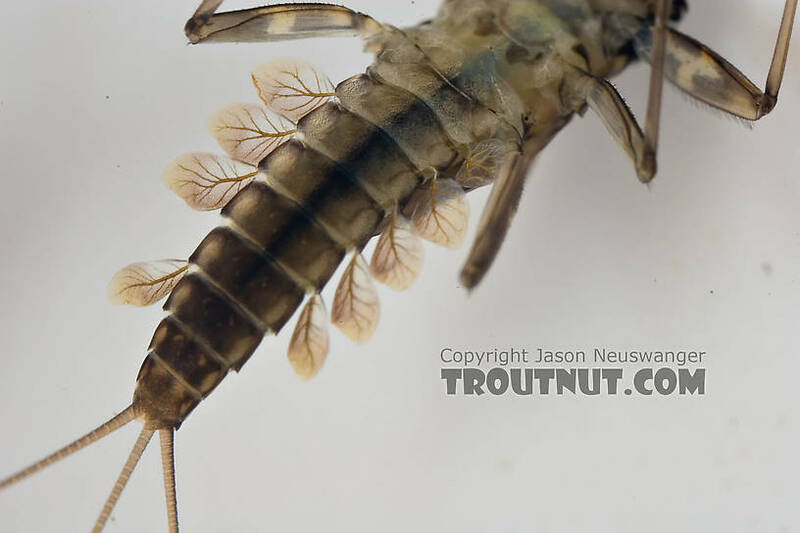 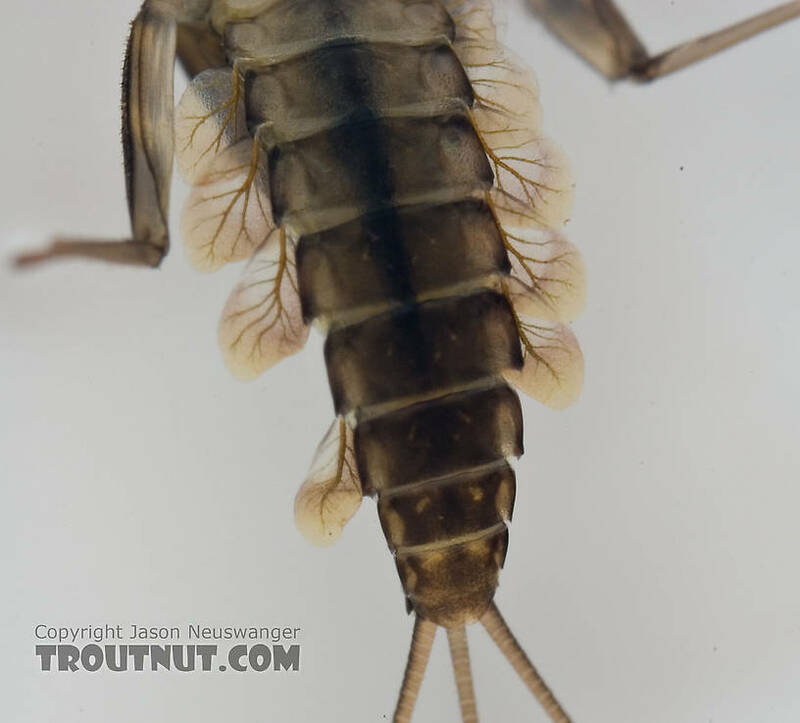 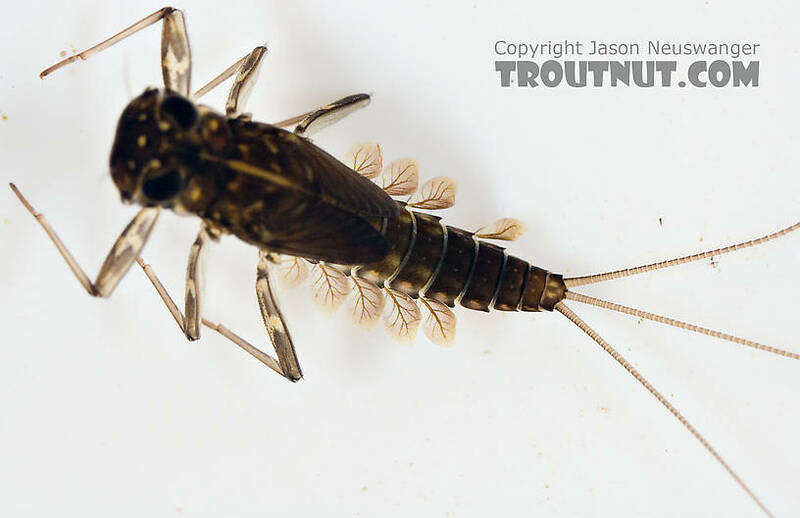 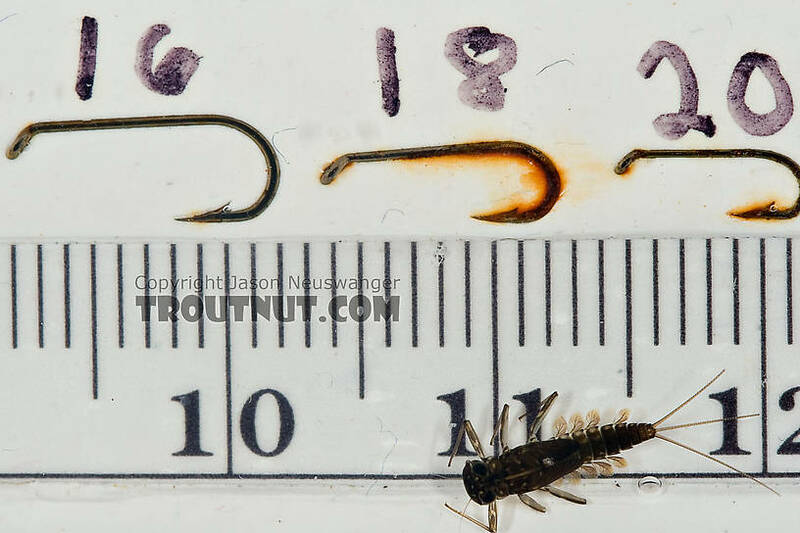 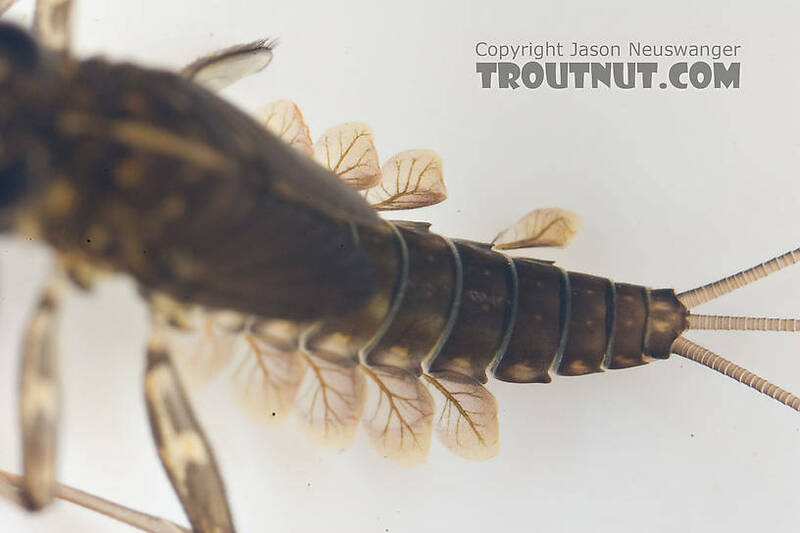 This nymph is missing a few gills, but is otherwise in good shape. 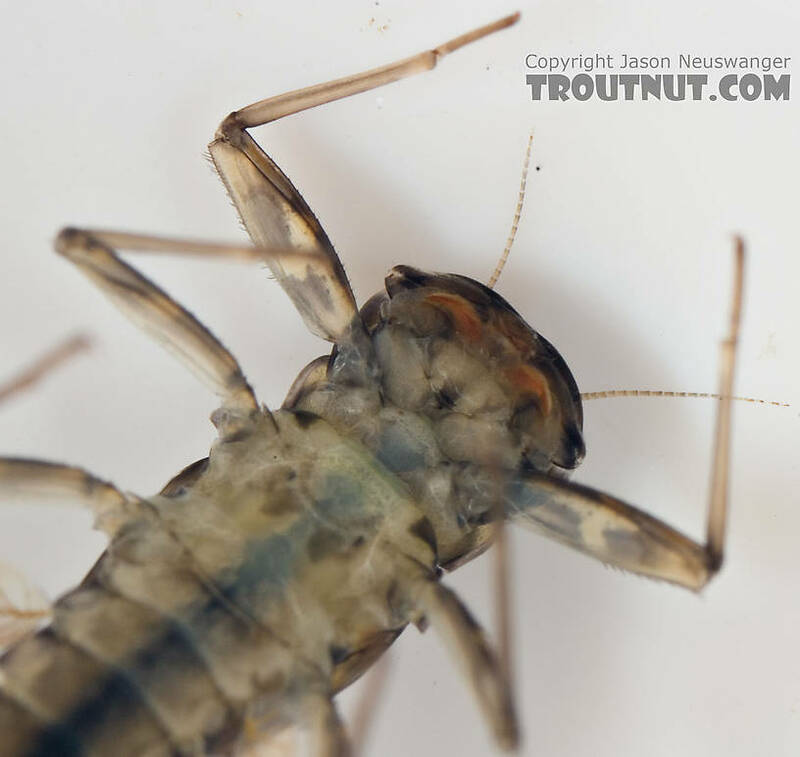 It was the only one of its species which turned up in my sample. 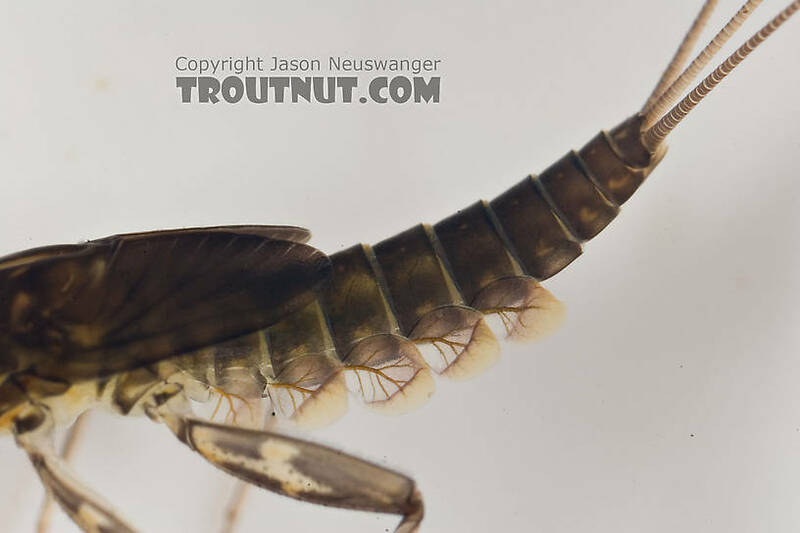 Here you can see the mouthparts protruding out the side in a top view of the head. 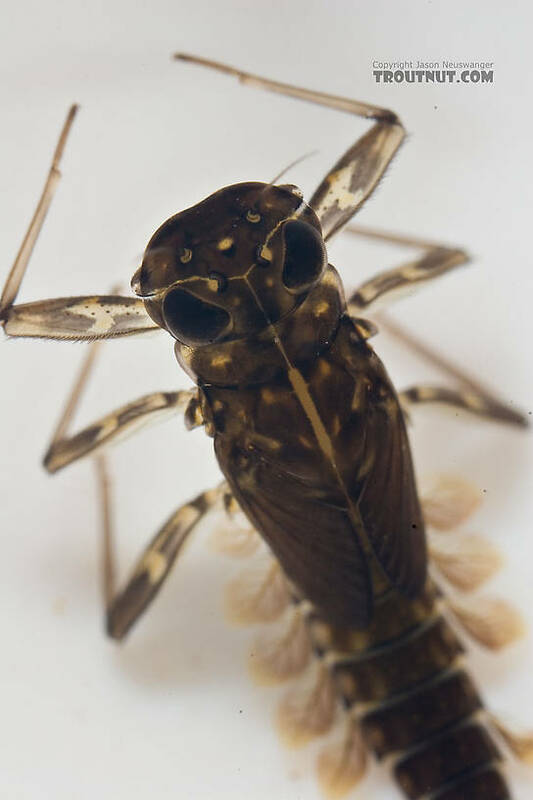 That's the identifying characteristic for Cinygmula.